Posted on February 22, 2017 by Mike Sonnenberg Posted in courthouses	. The internet can sometimes be like that friend who tells you things without any regards to your feelings, kinda like Dr. Sheldon Cooper. I was doing some research on Mio and then I saw it in big bold text on google Oscoda County Courthouse Destroyed by Fire May 6th, 2016. I remember making an image of the old courthouse a few years ago but for some reason, I never got around to posting it. I guess I can share it with you now. I suppose finding out on google is better than being in the area and stopping by to get a photo finding out that it’s gone, it’s happened to me before. The old courthouse had a Michigan Historical Marker and here is what was written on it. When the county government moved from a town called Union Corners to Mio in 1882, temporary offices were set up in a rented building owned by John Randall, one Mio’s founders. For permanent quarters the county supervisors purchased land from Randall in 1885. The county hired Bay City architects Pratt and Koeppe to design a courthouse. In contrast to the elaborate stone and brick courthouses being built at the time, the firm designed this modest wood frame structure, completed in 1889, for Oscoda County. Two wings were added in 1908 to house vaults for the county clerk and treasurer. 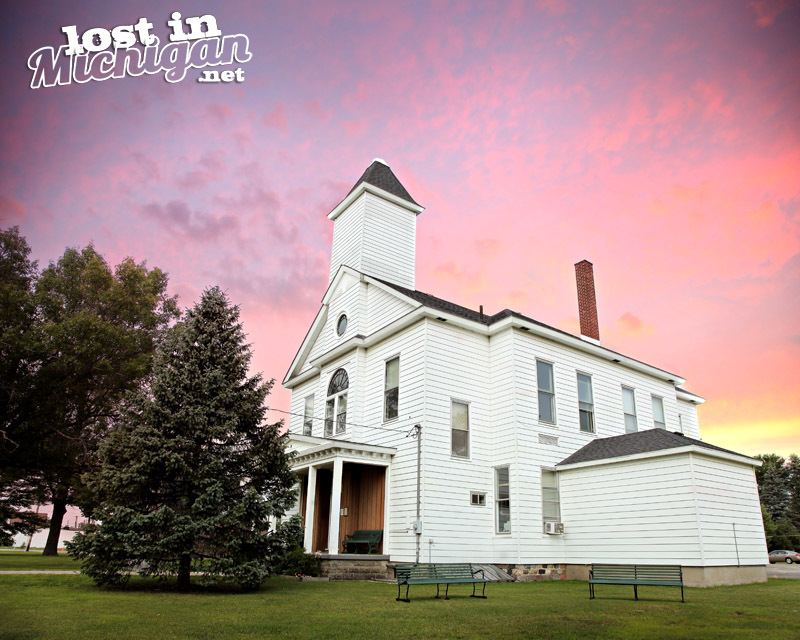 In 1889 – 90 a courthouse almost identical to this one was built for Arenac County in Omer. That courthouse became a Masonic hall in 1892.